In 2011, I was outside the temple at Burning Man, and suddenly a wedding took place. But, this wasn’t just any wedding. This was the most beautiful wedding I have ever seen. It was a wedding that used shamanic rituals, singing, and sacred ceremony to portray the uniting of two souls who were clearly meant to be together. Without even knowing the people whose marriage I was witnessing, I found myself with tears streaming down my face. The true love between the two people being united was apparent, but more than that, there seemed to be a feeling that there was a greater purpose for these two souls coming together. After the wedding, I stumbled into the temple asking if I would ever find someone who I would be able to join with in that way. And, then I looked up. 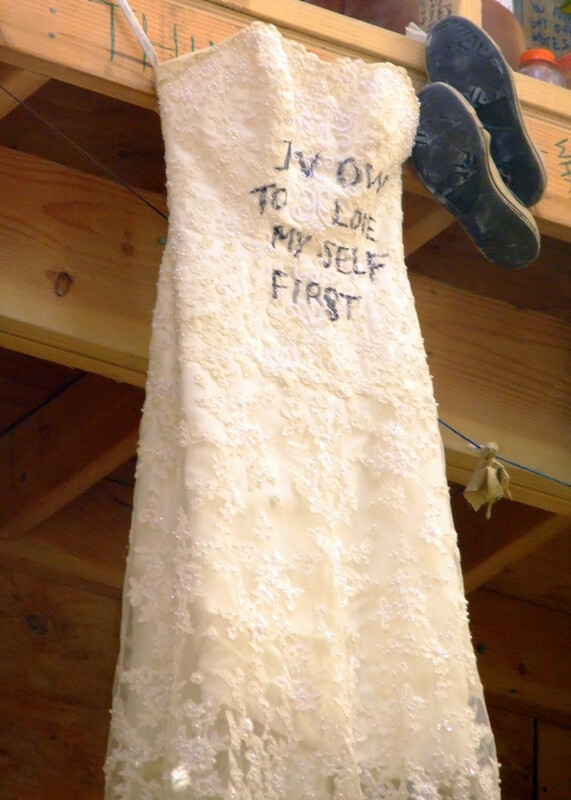 I saw the wedding dress in the picture above, and the words, written on it left me sobbing. It was as if the answer to my question was written over my head. In order to find true love, I would have to love myself first. I had a record for attracting people who hadn’t been very kind to me, and I knew in an instant that they were only reflecting the way I felt about myself. In that moment, I made a vow to myself. I would learn to love myself. I realized that I had spent a lot of time trying to get to know who others were, but I had given very little time to know who I was. I realized that I had reached out to others with my ego and not my soul. I had carefully measured the way that I reached out to others by the way they responded to me instead of just being myself and accepting that some people would appreciate me while others wouldn’t. My ego was so busy trying to make a good impression that my soul couldn’t even get through. I had been using relationships to cover up the, “I’m not enough” feelings I had about myself. In previous relationships, my ego had used its own version of love to feel like I was enough. I had used other people to get validation instead of knowing and loving the glorious being that I am from deep within. The pain I had felt from being rejected by others was actually caused by a deeper pain. It was the pain of not being connected with the deeper levels of my own self. I knew that it would be impossible to attract a soul mate as long as my ego was trying to capture an ego mate. I also realized that instead of looking for someone to hold onto, I should look for someone to let go with. True love is surrender. 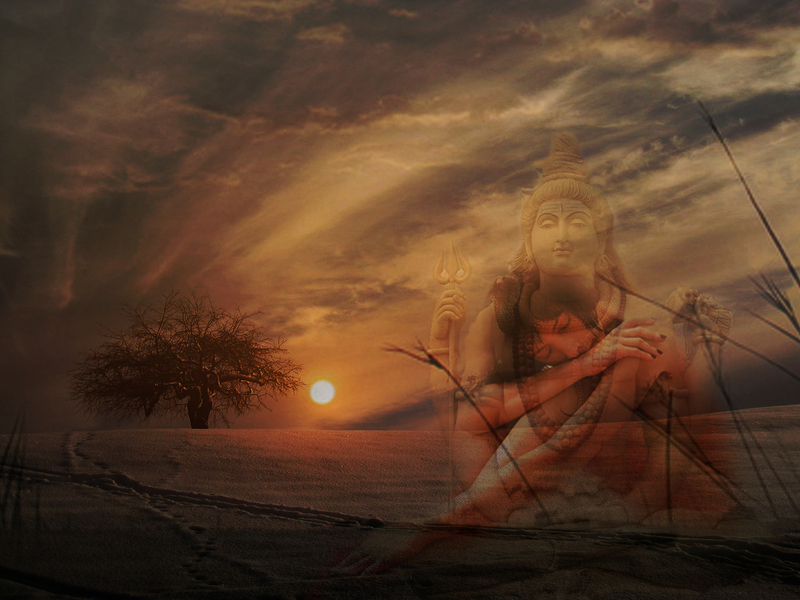 It is a surrender to deeply loving. Not because it might be loved back. But loving because love is who you are at the core. The ego doesn’t want you to surrender or to join with another person because it doesn’t want to you to give up the sense of who you are. But the ego’s sense of self is a false self. One that thinks it has to earn love instead of accepting love because it is freely given. Once I truly began to give true love to myself, I started accepting all of me. The darkness, the light, the weaknesses, and the strengths. And, then something happened. I began to love the whole world. I judged less. I criticized less. I just felt open. I no longer needed someone to make me feel special or even make me feel loved. I was loving myself. Has my love for another been rejected since then? Oh yeah, because the truth is, once you are being real and sharing all of you, a lot of people aren’t going to quite know how to handle it. But, your soul mate will. And isn’t that the true love that you really want? Lovely post. It even gave me a few goosebumps! You’re exactly right that you have to love yourself first, and the rest will fall into place.